Heavy weapons seized in Idlib's Al-Qarmid base, as Al Qaeda-led Islamist 'Army of Conquest' continues to make gains in the north. A Syrian rebel coalition led by Al Qaeda's Syria affiliate overran a regime military base in Idlib on Monday, a day after government raids killed 73 civilians in the northwestern province, a monitoring group said. The capture of Al-Qarmid, southeast of the provincial capital, consolidated a series of victories for the rebel alliance made up of Al Qaeda affiliate Al-Nusra Front and other Islamist factions, calling itself "The Army of Conquest". "The Al-Qarmid base fell to rebel fighters, and the regime has withdrawn from it," Syrian Observatory for Human Rights director Rami Abdel Rahman said. 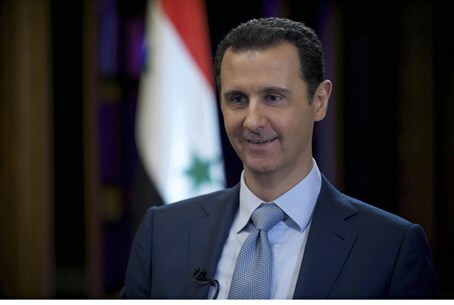 He said the regime stored several tanks and heavy artillery pieces at Al-Qarmid. Many of those weapons were seized on Monday by the same Islamist coalition that captured the last major government-held city in Idlib province on Saturday. The fall of Jisr al-Shughur followed the loss of Idlib city last month - the latter being only the second provincial capital to fall from regime control after Raqqa city, seized by Nusra in 2013 but later taken over by ISIS. Syrian state television reported merely that the army had killed "a number of terrorists" in fierce clashes around Al-Qarmid. But Abdel Rahman said government forces had failed to hold the base despite heavy shelling of rebel positions, and had lost 15 soldiers. He had no immediate information on rebel casualties. Early on Monday, Al-Nusra's official Twitter and Facebook accounts published photos of tanks and artillery with the caption: "Inside Al-Qarmid military base: the jihadists' spoils." The accounts also carried pictures of fiery explosions, that they said were caused by suicide bombers blowing themselves up at checkpoints before the base was stormed. Abdel Rahman told AFP at least two suicide bombers in cars laden with explosives targeted entrances to the base. He said forces loyal to Syrian President Bashar al-Assad still held three other bases in Idlib province and a military airport further east, as well as smaller towns. But the rebels' recent gains have opened up a strategic assault route to neighboring Latakia province on the Mediterranean coast, a bastion of the Assad regime. The series of gains by the Islamist alliance in the north comes as a more moderate rebel alliance is making steady gains in southern Syria as well, and appears to indicate the increasing strain felt by the Assad regime as it continues to fight a long and bloody war along multiple fronts. In both Al-Qarmid and Jisr al-Shughur, regime forces reportedly retreated after just a few days of fighting; that performance, coupled with the rapid succession of regime losses throughout the country, has led some to speculate that the Assad regime may be finally beginning to collapse. Many Iranian-backed Shia Islamist militias from Iraq, which played a key role in supplementing the Syrian army's badly-overstretched forces, have left to fight ISIS in Iraq itself. Another key component of pro-regime forces - Lebanese Hezbollah - is also being stretched thin across Syria, Iraq, Lebanon and recently Yemen, according to reports. Those developments may leave Syrian army forces vulnerable and unable to hold out against rebel offenses beyond he regime's key western strongholds or the capital Damascus. Since the Saturday capture of Jisr al-Shughur, the regime has launched a spate of air strikes on rebel-held towns in Idlib province that killed at least 73 civilians on Sunday alone. Abdel Rahman said 19 children and 11 women were among the dead, with the deadliest strike coming in the town of Darkush, near the Turkish border. Raids there on Sunday hit a marketplace, killing 53 people, including eight children and nine women. More than 220,000 people have been killed in the conflict in Syria since it began with peaceful protests in March 2011.